It has been awhile since I have sent a list of Instagram Accounts that I think you would enjoy! So I made up a new one that is very Farmhouse Eclectic. 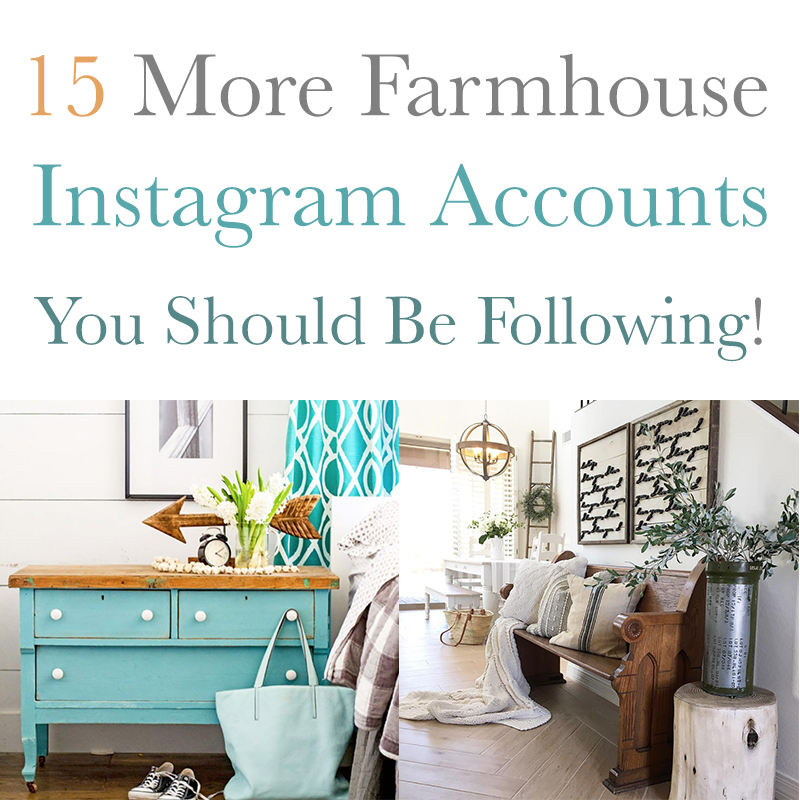 There might be a repeat or two…but that is only because I want to make sure you are following them : ) So it’s all about 15 More Farmhouse Instagram Accounts You Should Be Following today and I sure hope you enjoy them. 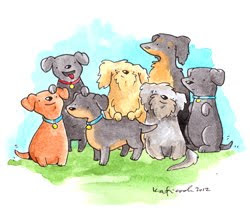 My wish is that you find one or two that are not on your follow list…it is always fun to follow someone new. So grab yourself a cup of your favorite brew because you just might be here for awhile! ENJOY! I can not recommend Emily Henderson’s Instagram and Blog enough. She is a New York Times Author and an amazing Stylist. You will find all kinds of style…diys…tutorial and so much more when you visit her blog. If you have never been there…you are in for a treat! The Modest Farmhouse is a real treat …Denise approaches her design to reflect a Simplistic Farmhouse Style. When you visit…you are going to feel right at home and enjoy all the inspiration. If you love Farmhouse French or simply adore gorgeous home decor then you are going to fall deeply in love with this Instagram. On top of being amazing…you are going to find some very cute furry models throughout! Blessed Mill House is rocking a clean crisp Farmhouse Style of their own. The best thing is…it is all on a budget! You will find tons of inspiration here from this wonderful Military Family. Blue Barn and Cottage is all about Budget Remodeling and Decor but you would never know it when you explore Loren’s beautiful style. Come and join Liz on her Decorating and Renovation Journey. You will enjoy her clean…crisp Farmhouse Style with a twist of Cottage. You will also find tons of inspiration through out. Gina is totally Aqua Obsessed but in such a good way! You will see glimmers and hues of aqua throughout her entire Upbeat Farmhouse on The Creek. That pop of color will simply make you happy. Her world is filled with aqua…diys…farmhouse fun and of course a margarita or two…Enjoy!!! All that Aqua over at Gina’s led me to Sand Dollar Lane where there is a ton of Coastal Farmhouse Style going on. So if you are looking for a touch of a crashing wave…a sandy beach…a cool salted breeze…then you must come and see what Leen and James are up to. The “Jersey” Girl in me is loving it! When you visit Jamie over at Bluestone Hill you will be transported to a whimsical yet traditional New England style Farmhouse. I fell hopelessly in love with this cozy spot for two. You owe it to yourself to come and experience it all. Right now though I am thinking very strongly about wallpapering at least one wall! Larissa from Prodigal Pieces is simply a Master Thrift Store Artist. She takes the most unlikely pieces from the Thrift Store and even Roadside and creates masterpieces. So if you want to enjoy before’s and afters…you are in the right place. You will marvel but be totally inspired to create. Enjoy the experience! Jordan from House Becomes Home is sharing life one square at a time and you are going to love it all. It’s whimsical…it’s contemporary Farmhouse…it’s fun…it’s create and it is ALWAYS fabulous! I am sure many of you know and love Melissa over at The Inspired Room…but just incase you weren’t following her…I think you would love it! Join her as she shares her adventures in decorating. Her style is fresh and unique! A little touch of everything including some really cute fur babies! Enjoy and be inspired! 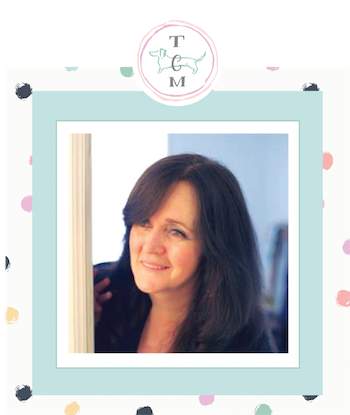 Be sure to visit Suzy over at Worthing Court Blog…her Farmhouse Style is Casual…Comfortable with an American Flair. Come and enjoy her welcoming style and be inspired. I am sure so many of you have been following KariAnne over at Thistlewood Farms…but just in case you missed it…follow her as she shares her first version of Thistlewood Farms in Kentucky and the Thistlewood II in Texas! It’s a Farmhouse experience no one should miss. I think you will enjoy Farmhouse Pottery…come and experience the life of a Potter and the Modern Artisan Lifestyle. Something a little different…my only problem is that I love everything they create. Thanks for the list. 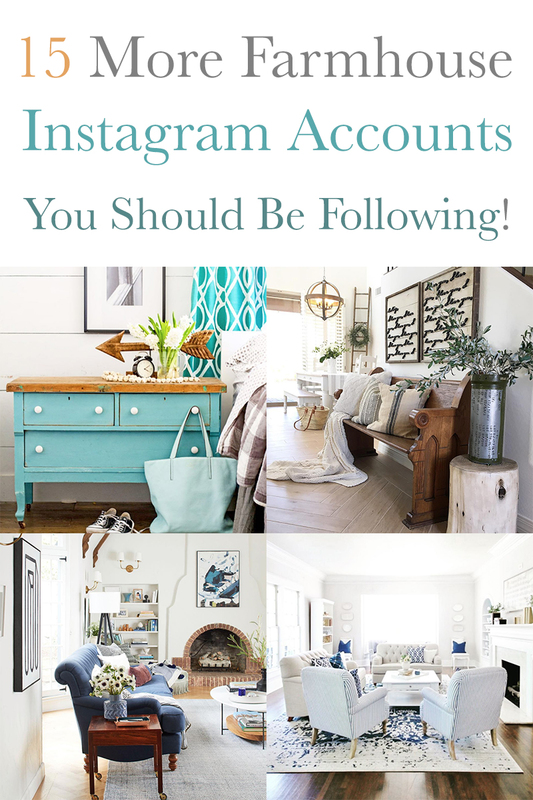 I’m pretty new to following Instagram so really appreciate the tips for these accounts. Great collection… I already follow most of these, but it was nice to see a few that I don’t! Thanks, Andrea! Thanks for the feature Andrea! We’re honored! Thank you SO much for the shout out, Andrea! It’s truly very much appreciated!